Founded in August 2016, thearchitectsdiary.com is an online publication focused on Architecture / Interior Design / Art & Design. THE ARCHITECT’S DIARY mission is to find the best architecture /interior designs and inspirational homes and give the widest exposure we can to talented architects and designers. The Architect’s Diary is the place to visit daily if you are looking for fresh and innovative ideas for your contemporary or more traditional Projects & Design. 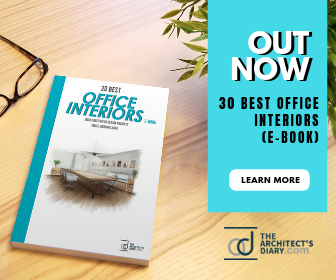 In one year, Architect’s Diary has established itself as one of the leading websites in its field due to its understanding of what our readers are really looking for: the best and most desirable Projects and interiors from all around INDIA! The Architect’s Diary attracts a diverse group of devoted readers across the globe and currently has more than 3,500+ daily readers, 1,00,000+ Social media followers.